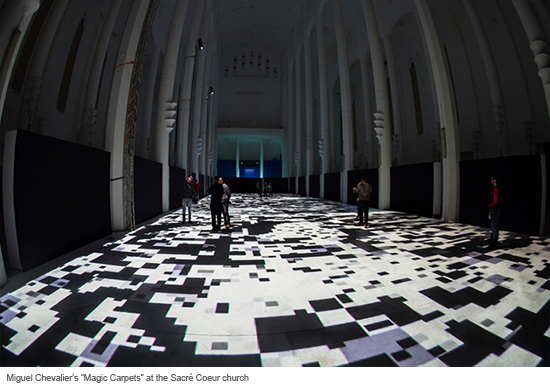 French digital artist Miguel Chevalier is often recognized as one of the pioneer of the virtual art medium, creating a wide variety of interactive museums and artwork created with the aid of technology. 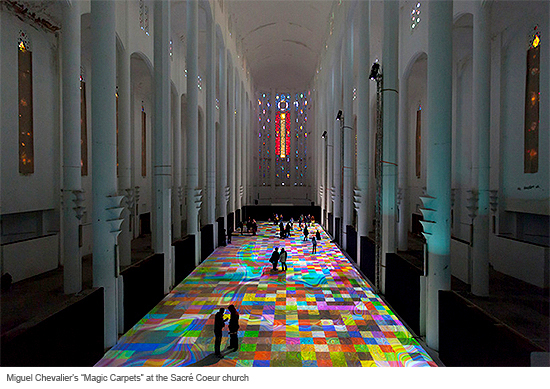 Now, he has brought his work to the city of Casablanca, Morocco, with his new “Magic Carpets” installation! 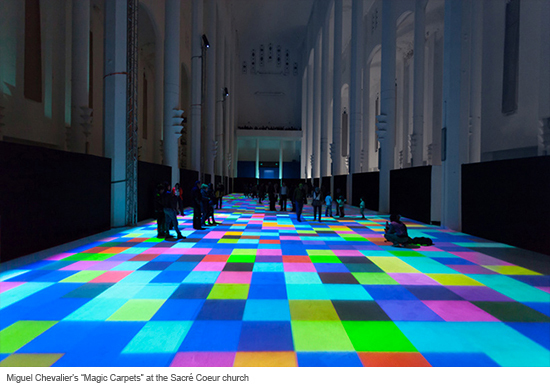 The French Institute of Morocco invited Chevalier to transform the Sacré Coeur church into an interactive exhibit, and Chevalier has done so by turning the floor into a mesmerizing mixture of color, shape, and sound. The designs change and warp according to the movements of people walking on top of the exhibit, creating a dialogue between the individual and the exhibit space itself. Accompanying the exhibit is echoing music composed by Michel Redolfi, renowned French electronic composer. 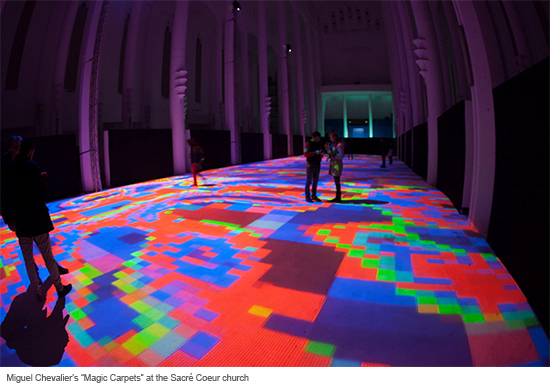 Combining digital technology with viewer interaction and the actual space, Miguel Chevalier’s latest piece continues to mesmerize visitors and international fans alike.